As consumers are bailing out of sedans in favor of SUVs, manufacturers are bringing out an every greater range of them. And naturally that includes Honda, which helped start the crossover craze with the original compact CR-V, one of the first SUVs based on car, which offered a smoother ride, better mileage and a lower price than traditional truck-based versions. Honda still offers the vastly updated CR-V, and it is one of the most popular crossovers in the world. But the company also offers the subcompact HR-V, the all-new compact Passport, and the mid-size Pilot, the subject of this week's review. 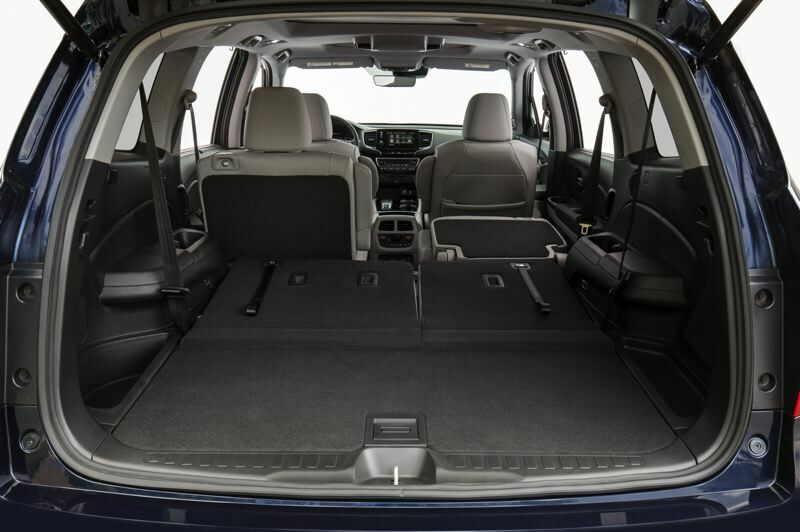 Although the Pilot is Honda's largest crossover and features three rows of seats, it is not a full size SUV, like the truck-based models produced by some other companies. It is a mid-size, which makes it easier to drive in downtowns. And that is fitting, since Honda was one of the first Japanese companies to introduce Americans to the concept of small, well-built, reliable fuel efficient cars during the first gas crisis in the mid-1970s. The current version of the Pilot is a few years old by now, but you wouldn't know it by looking at the 2019 version. A redesign in 2016 transformed the formerly stodgy but practical family hauler into a stylish version of its former self. And a refresh this year makes it even more contemporary — including a more angular corporate grill with faux skid plates. 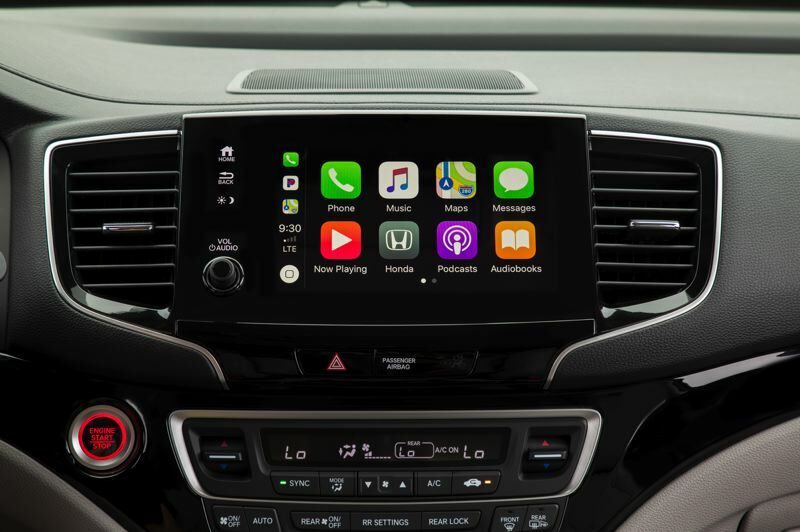 The interior has also been modernized, with a much improved infotainment touchscreen set above easy to understand and reach controls. 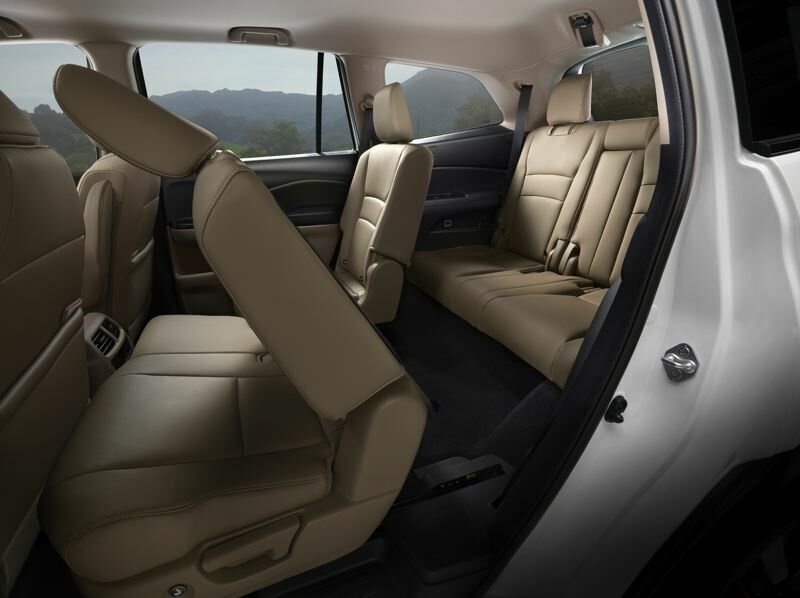 Our test version was a fully-loaded Elite model which included near-luxury level leather and a rear-seat entertainment system (which also plays CDs, for all you aging Baby Boomers). And hats off to Honda, which has made its its Honda Sensing suite of driver-assistance systems standard on all versions of the Pilot. 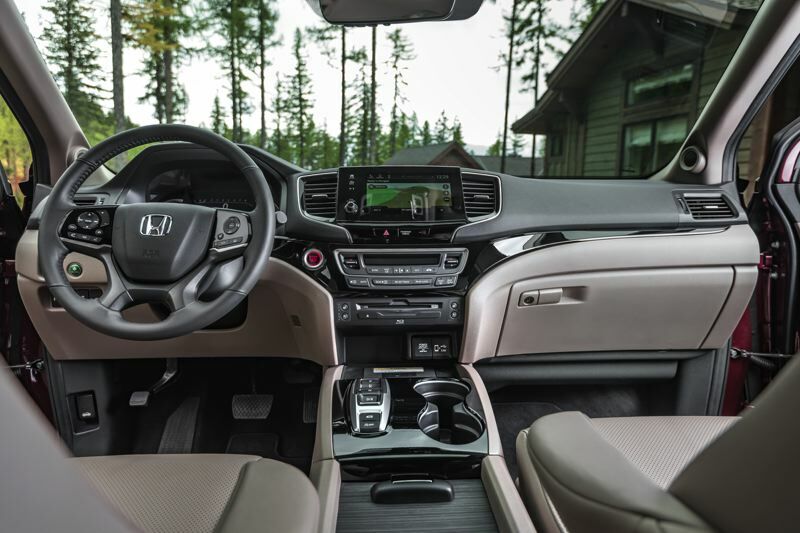 The 2019 Honda is still powered by the company's tried-and-true 3.5-liter V6, now mated to a standard nine-speed automatic transmission with steering wheel-mounted paddle shifters. It also comes with two drive modes, Eco for the best mileage and an unnamed default setting we assume is Normal. On the road, the Pilot was very smooth and quiet, displaying impeccable manners in all conditions. The leather seats were comfortable and supportive enough for long trips, and there was enough room in the second row of seats that passengers shouldn't constantly asking 'are we there yet?' The third row is only large enough for children, however, which is true of all three row crossovers these days. Although our test Pilot was equipped with Honda's i-VTM4 on-demand all-wheel-drive system, it isn't intended as a serious off-road vehicle. It should do OK on fishing cabin trails, the real benefit is better traction on wet pavement, including the rains and snows that mark Pacific Northwest winters. 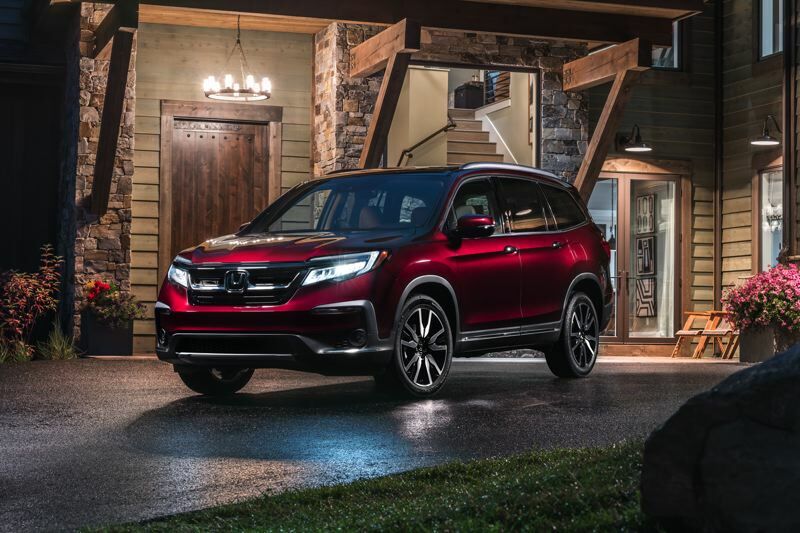 The 2019 Honda Pilot may not be the newest or most technologically advanced mid-size crossover SUV on the market, but it is a solid choice for families looking for value, practicality and comfort.